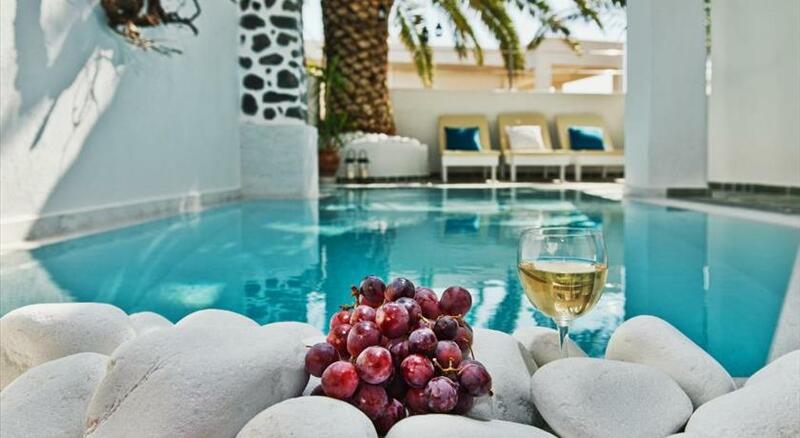 Set amidst a palm-tree garden, the family-run Blue Sea Hotel features a swimming pool and a Cycladic-style bar. 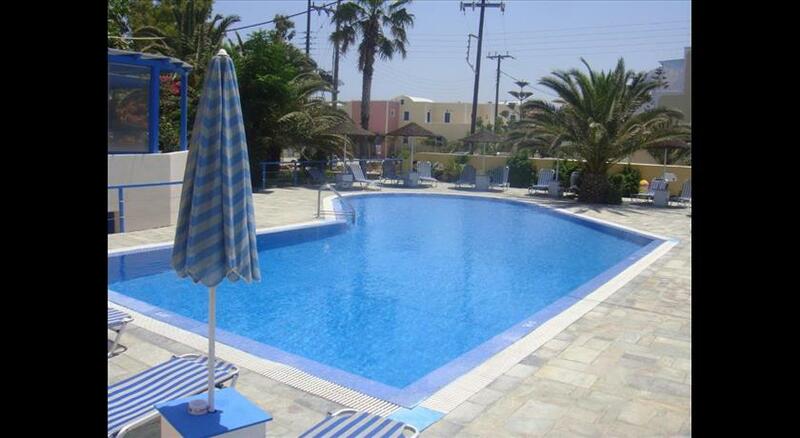 It offers accommodation with a private balcony and it is 80 metres away from Kamari Beach . Offering sea or pool views, rooms, studios and apartments at Blue Sea are bright and air conditioned each with its own bathroom. They all include a cable TV and dining area, while some also offer a kitchenette. Decorated with white furnishings and colourful details, the hotel’s indoor bar serves drinks and cocktails. A second bar is available by the pool and continental, buffet style breakfast is served in the morning. 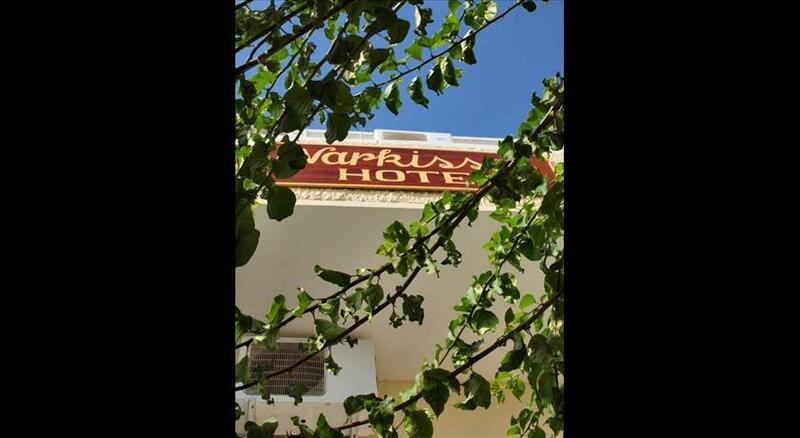 Within proximity to the hotel, guests will find a bus stop and restaurants . Santorini Airport is 5 km away and Athinios Port is 10 km away. WiFi access is provided free of charge in the public areas. Please inform Blue Sea Hotel in advance of your expected arrival time. You can use the Special Requests box when booking, or contact the property directly with the contact details provided in your confirmation.